An official partnership announced, along with plans for co-branded sweepstakes, VIP giveaways, and more. International wine portfolio Tussock Jumper releases news that they are now an ‘Official Partner of the New York Mets’ through the 2019 and 2020 baseball season. Plans for digital and social media promotions to be announced, along with television and out-of-home advertising, overseen by FK Interactive. April 18th, 2018, Winter Park, FL – Sandy Ridge Vineyards and Mercantile, a new Norwalk, Ohio based concept from chef/creator Jamie McFadden, announced plans this month to open mid-2018. With a focus on supporting local business and vendors in the area, the team plans to make the location a destination for visitors seeking an authentic, Ohio experience. 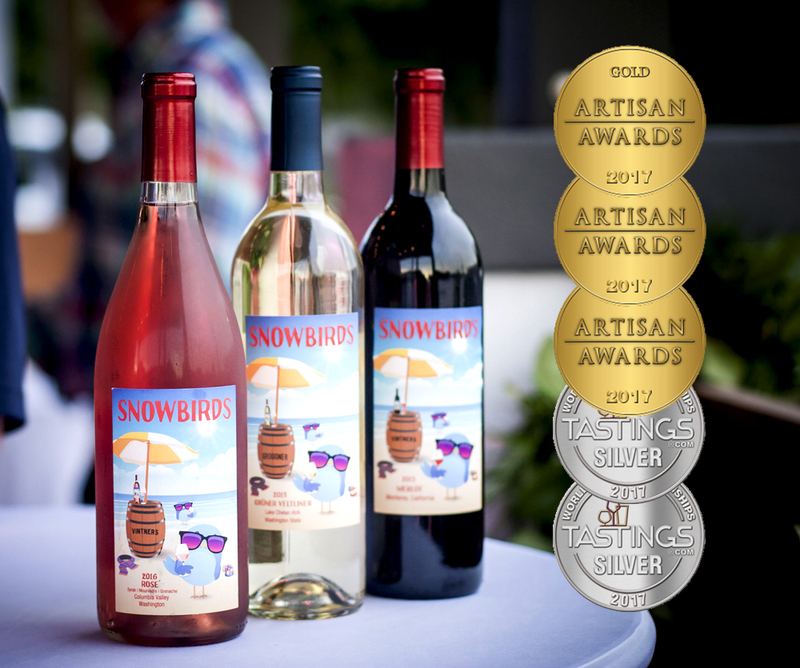 Snowbirds Vintners, a chef-created wine portfolio specializing in American grown, food friendly wines, is thrilled to announce the recognition of Snowbirds Vintners Rosé 2016, Snowbirds Vintners Grüner Veltliner 2016, and Snowbirds Vintners Merlot 2013 in the third annual 2017 Artisan Awards.